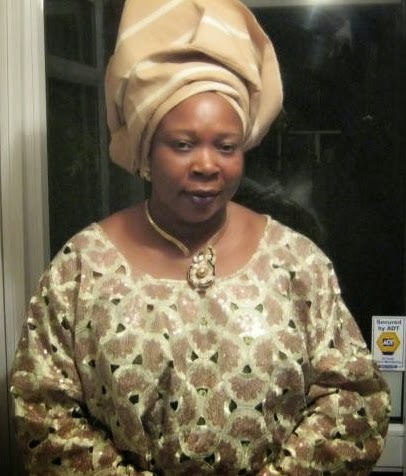 The Controversial Rumours, Death & Burial of Bola "Bims" Amole,London Foodstore Owner. having gone home to vie for a Senatorial seat with the Accord party. In her death,there were rumours that she was killed by hired assassins in Nigeria,this is not true,she died in her home possibly from a heart attack. I have been fascinated by her death,so decided to do a little investigation of my own. 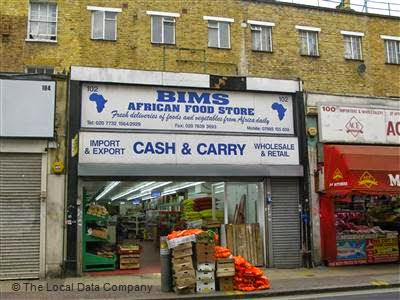 I spoke to two people,one was a friend who had known her for some 20+ years.She told me as far back as the 90s when Bims started her London food store,she had generated controversy and jealousy from people.When she started her store,she said it was rumoured that Bola had enlisted the help of black Magic.The other person also told me that there were rumours that sacrificial objects,better referred to as "Ebo" in Yoruba land were often seen around her Nigeria and African food shop. 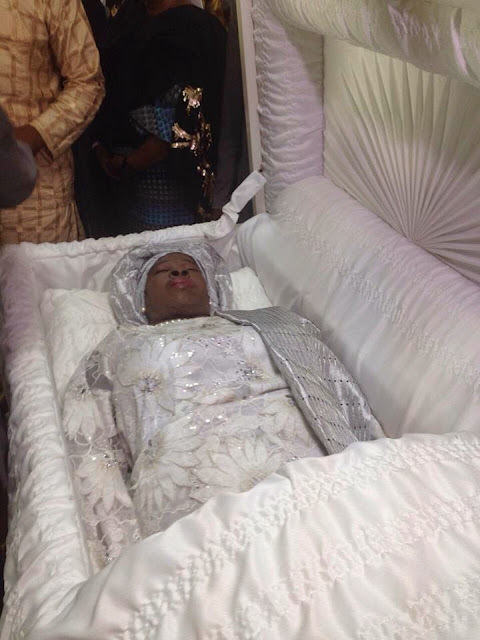 The latest controversy that followed her even in death,is the story that when she died,Bola could not be buried the next day cos she was part of the Ogboni Fraternity.The story is that the Ogboni Cult went over to her family and warned them not to bury her the next day as the muslim religion stipulates,because she is one of them and they have things they want to remove from her body..Hmmm..
Now ,during my investigations,i was told this was not true as Bola had converted to a christian,so she could not have been buried in the muslim tradition.Her friend further said this was all nonsense and she was not a member of the Ogboni fraternity.I asked her how she can be so sure,as nobody really knows what anybody else gets up to privately,but the friend was adamant,saying Bola confided in her a lot and this was not in anyway true.She further said the peaceful burial of Bola justifies this,as no Ogboni members showed up. As you can see from photos of her burial here,Amole was not buried in the muslim tradition. 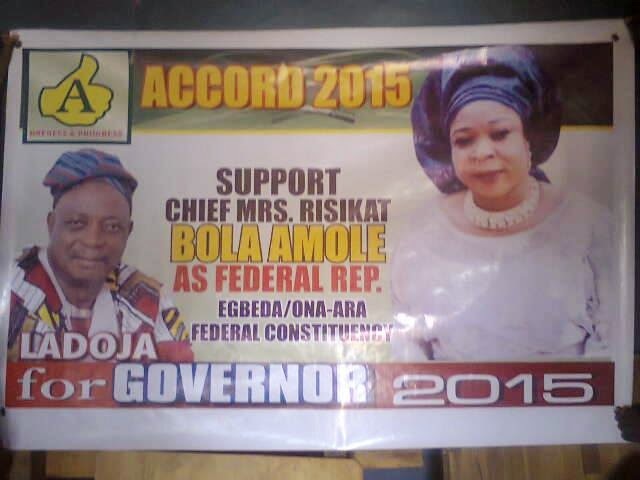 My source also told me that the real cause of Amole's death was shock,heartbreak and disappointment.My source claimed Bola had confided in her that she had some health issues,hypertension being one of them.She also said Amole had told her that she had been promised a slot by the Accord party to run for the Senate.Bola told her that she had spent close to 60 million Naira in sponsoring the Accord party,and in return, guaranteed a ticket to run for the Senate. Now you might wonder how Bola had such funds to spare,but she was a very rich woman.She reportedly had properties in London,Abuja,Lagos and Ibadan.She supplied African food to all the Asian outlets in South London,she also supplied up to ten countries in Europe,so she was one rich lady. My source said she warned Bola not to get herself involved in politics as she had everything anyone could wish for in terms of achievements and financial success,but Bola was adamant that this was what she wanted to do and everything will be okay. My source further said,when Bola got to Ibadan Nigeria,the Accord party,disappointed her and gave the slot to another person.It was the shock of this coupled with hurt and disappointment that escalated Amole's poor health and led to her death in form of a heart attack while in bed. I must say,this investigation is what i was told,two people more or less who have known her for many years confirmed it,but it is not necessarily the Gospel truth..i guess only Bola and doctors or whoever was with her in the house can really tell how she met her death in Ibadan Nigeria. Many a times the truth is bitter but only those really close her when she came in late 1980's could say a lot. Why is the girl father not at the burial? Only the Lord Almighty know who actually serve him. May Almighty God forgive all your sins and grant you eternal rest,may He be with the daughter and give her abundant joy instead of sorrow,may God course His face to shine on her and lead her ways,may God bless her in all her endeavour IMNJ.